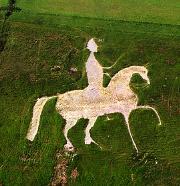 This horse is unique in carrying a rider, namely George III, the horse is elegant and large 280' long and 323' high. 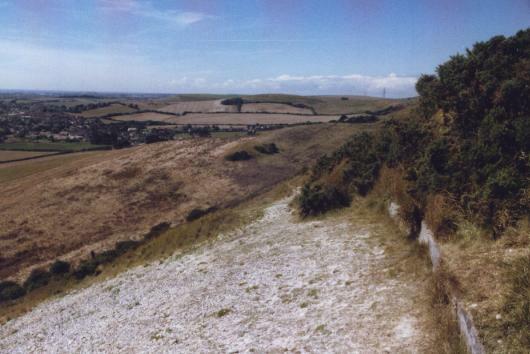 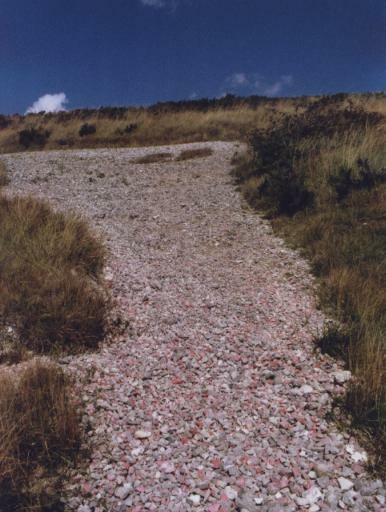 It is cut into Osmington hill opposite Weymouth Bay facing due south at a height of approx. 300ft. 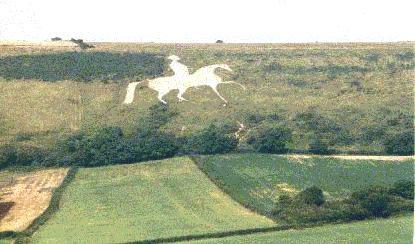 The horse is predominantly limestone, and is reasonably well cared for. The steep slope allows some of the limestone to be washed off and trails run down the hill. The horse is best seen from the A353, a farm track opposite the Carvan park offers a parking spot in a good position. 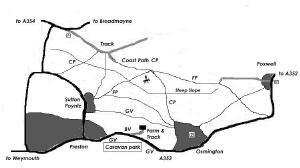 To visit the figure take the road up through Preston, and Sutton Poytz, turn right at the crossroads, and after a short distance the road bears left and a track goes straight on, take this track and park. 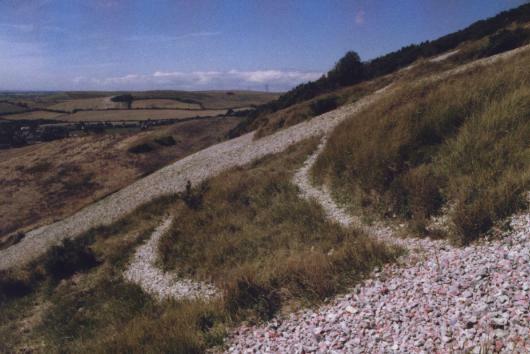 Walk from here along the track, keeping right (straight on) at the major junction and past the trig point, and the tumuli. 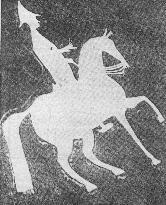 After passing a steel gate on the track the horse is on the right. 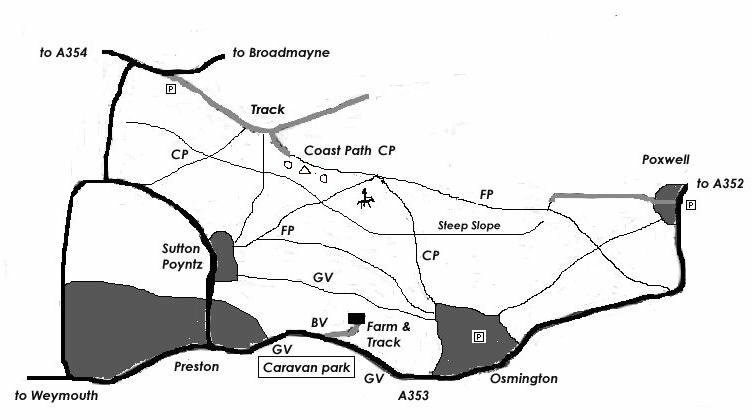 There are many footpaths and routes from Poxwell, Osmington and Preston are all straightforward. 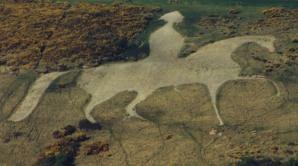 Remember please don't walk on the horse. 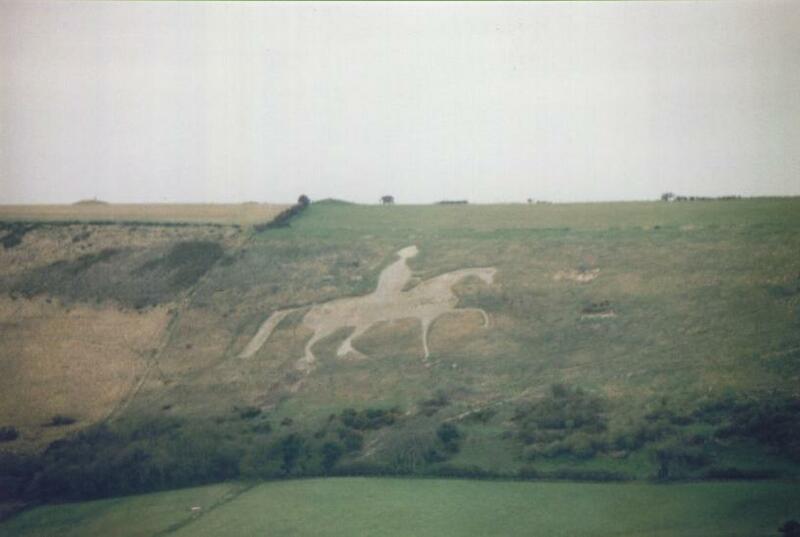 Cut in 1808 the horse was to commemorate the royal visits to the area and the prosperity they brought. 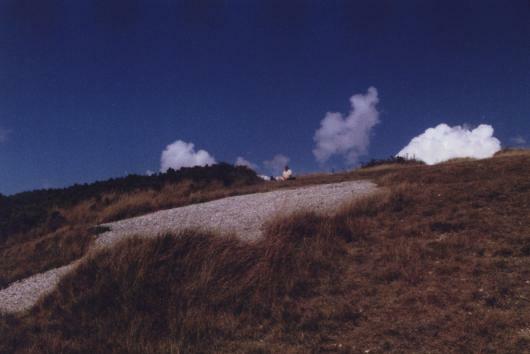 Mr Wood the book seller directed the construction at the expense and request of John Ranier brother of Admiral Nelson. 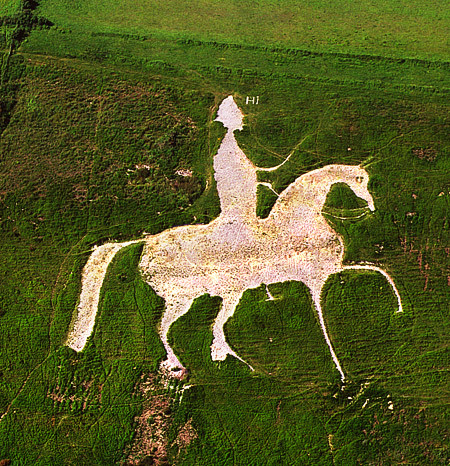 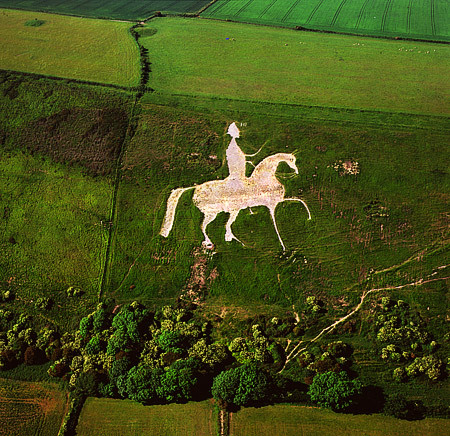 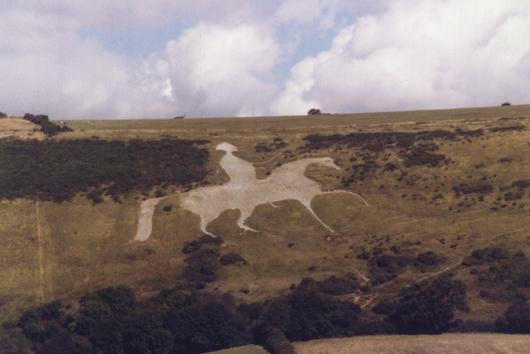 The horse is regularly scoured, most recently in 1996 and the horse was featured on challenge Anneka when white Portland stone was added to the horse. The horse is looked after by the landowner and English Heritage.